There’s nothing quite like playing live. The feelings conjured up by the connection between you, your guitar, the sound from your amplifier and your interaction with the audience is hard to explain. 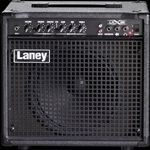 The LV Series is designed with this in mind, helping you take to the stage with confidence and above all, great tone. There's nothing quite like playing live. The feelings conjured up by the connection between you, your guitar, the sound from your amplifier and your interaction with the audience is hard to explain. Once you've paid you dues rehearsing or warming up it's time to step up and hit the stage and when you do that you need to make sure your backline is up to the job! Step forward the heavyweight members of the LX range. If a stack is more your mode of attack, then the LX120RH is the one for you! 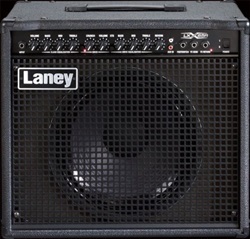 The LX120RH houses independent twin channel coupled with a 120 watts RMS output section which gives you masses of power and tone for everything from clean to extreme and with 3 band EQ per channel you've got powerful control over your tone, and for that Extreme Tone Shaping option the LX120RH features an XTS option that really kicks things about! Finished off with a high quality onboard reverb, an FX Loop and a CD input you've got everything you need to take you playing to the next level and beyond. The ideal partner for the LX120RH for some serious stage volume are the LX412 cabinets which are finished in the same stylish rugged granite tolex, heavy duty corners and steel kick grilles. 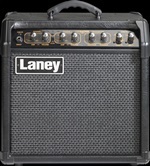 Once you’ve paid you dues rehearsing or warming up it’s time to step up and hit the stage and when you do that you need to make sure your backline is up to the job! 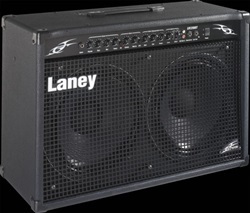 The LX120RT packs a mean punch when it comes to gig worthy combos. It’s twin channel pre-amp covers all the bases from a tone point of view and it’s 2 ? 12” HH drivers handle everything the 120 watts RMS output section throws at it whilst still remaining portable and easy to lug round in the boot of your car or back of the van. 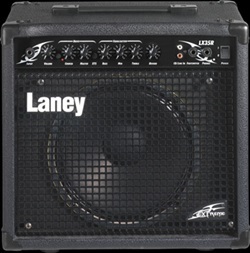 The LX120RT’s twin channels, give you everything from clean to extreme and with 3 band EQ per channel you’ve got powerful control over your tone, and for that Extreme Tone Shaping option the LX120RT features an XTS option that really kicks things about! Finished off with a high quality onboard reverb, an FX Loop and a CD input you’ve got everything you need to take you playing to the next level and beyond.